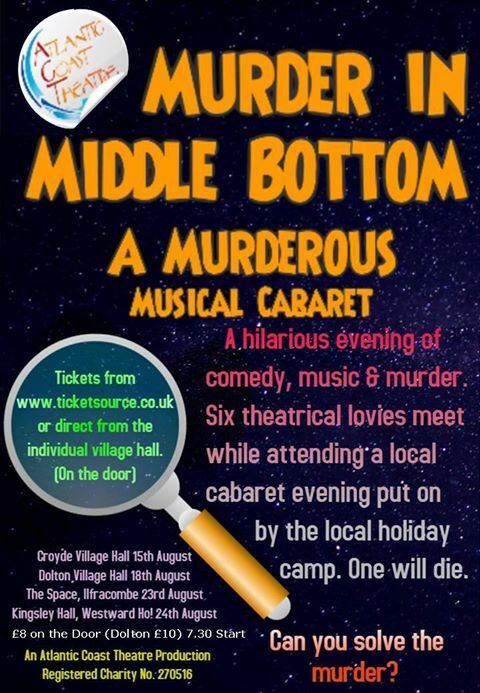 Wed 23-Aug-2017 @ 7:45 pm - 10:30 pm - Atlantic Coast Theatre presents Murder in Middle Bottom, a murderous musical cabaret. A hilarious evening of comedy, music and murder. Six theatrical luvvies meet whilst attending a cabaret evening held at a local holiday camp. One will die. Can you solve the murder? Booking Tickets £8 – available at ticketsource.co.uk.